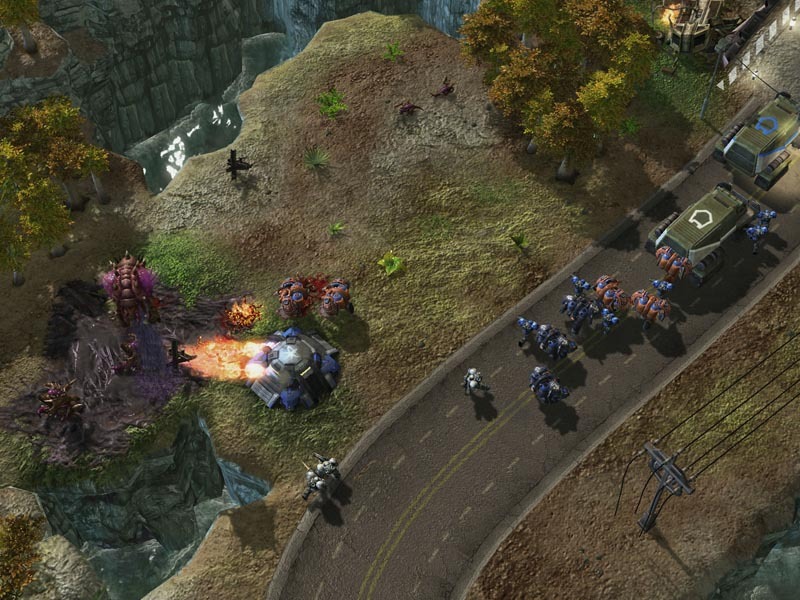 Blizzard’s new custom map StarCraft Master has officially gone live, players can how play the game under custom games in StarCraft 2. Many of the rounds can be challenging so we have made a in-depth guide showing you how to complete each round. Pretty straightforward. One marine will get initial agro from the zealot. Grab that one, kite him around in a big circle (bigger than mine since my kiting marine gets slapped a few times), and let the other marine finish the zealot off. Another straightforward challenge. Simply kite with your stalkers, and don’t get too greedy. Zealots are good against lings as long as they aren’t surrounded. The forward corners are closer than the back, so I just stuff my zealots in there and let them deal with the lings. This is the first challenge that gives people problems. The key thing here is to not be too fancy with hydra movement since they’re off creep. I shift focus-fire down the zealots and move individual hydras back as they get low. I also make an effort to split the remaining hydras at the end to buy them as much time as possible to finish off the zealots. The margin for error here is pretty tight, but the execution is straightforward. Just pull the stalker that the spine targets first out of range at the last second then immediately send him back in. Straightforward. Burrow the lings within the lines, unburrow them when the marines are on top. Another straightforward one. Just dance the colossus up and down the cliff. It’s probably harder to lose the colossus than it is to kill the lings. I shift-blink my pair of stalkers into one tank. This spreads them out so that the other tank can only tag one of them. There’s also a small safe zone in the middle of the two tanks big enough for one stalker to fit. So I move my injured stalker there, and then blink the other one to the other tank once the first one dies. The time limit is actually pretty short, so you need to be efficient with how you burrow your roaches. You should aim to set the bunker on fire and have it close to dead by the time all three roaches are burrowed. From there, you can regen to ~45% health and then unburrow to kill the marines. Make sure when you burrow your roaches that you immediately unburrow. This causes them to shake agro onto the next nearest roach which allows you to maximize your dps. Also note that I re-position my 3rd roach to be closer to the bunker while the 2nd is taking fire. If I did not do this, the 1st roach (which was already at low health) would’ve been targeted by the marines instead. Since you only have one FF, you are forced as to what to do. You should aim to split the roaches such that you only have to engage 2-3 to begin with. Also you should position your zealots so that they aren’t taking unnecessary damage from the roaches at the bottom of the ramp. Finally, if you are pulling out zealots or your sentry to force target swaps, remember that roaches have range 4, so they need to walk some distance before they’re out of range. This challenge can be deceptively hard. Like some of the other challenges, your margin of error is small since you only have two storms to play with, and you must prioritize running away from the marines to avoid them bunching up. Don’t be surprised if you lose to a single marine at sliver of health a few times while you attempt this challenge. 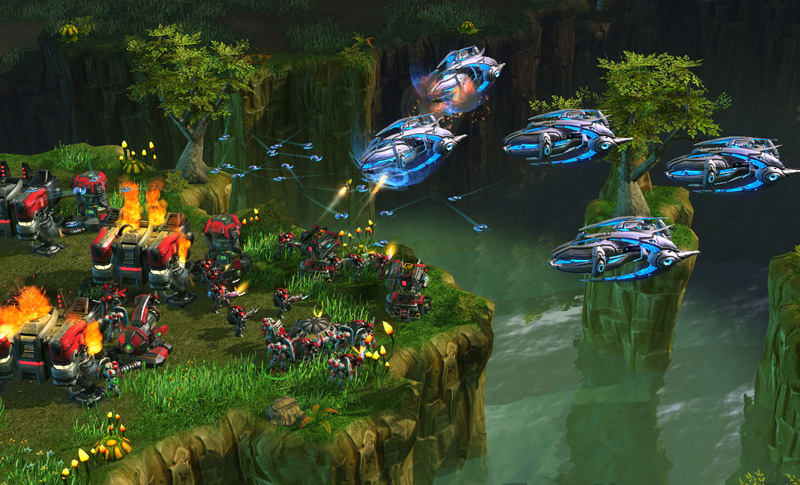 You have 8 infested terrans to lob. I chose to lob 3 at each marine ball with the remaining 2 going to the tanks once the marines are dead. What makes this work is that the first 4 IT eggs need to draw both tank’s fire. To ensure this, I wait for the tank fire to refresh before I lob the next egg. The positioning is also important because each IT needs to cause maximal splash damage to the marines. The last 2 ITs are kind of finicky. If you follow the pattern of where I throw ITs then you end up with either the last IT killing the tank with time to spare, or it gets blown up by the other tank. You might have to fiddle with the timings yourself to eek out a win. A good skill to pick up for the ladder, select your probes and spam right-click your cannon. Once they’ve surrounded the cannon, hit hold position. Since your probes are not attacking, the lings will try to attack the cannon but not be able to because your probes are in the way. This challenge comes down to FF placement. Since my squishy units (sentries and stalkers) are in the back, I choose to FF there first. I then make a smaller zergling choke with additional FFs. My attempt is a little sloppy, but it gets the job done. 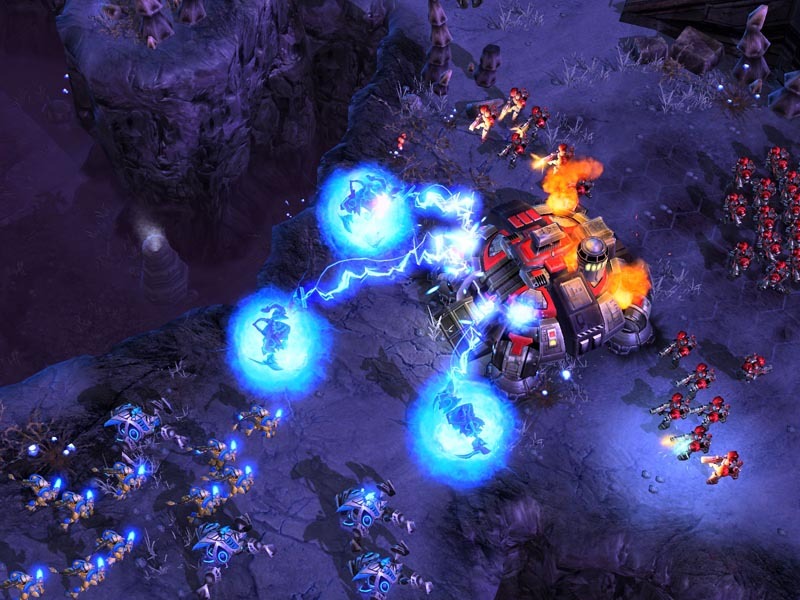 Even though the name is called force field smash, the first thing you should do is feedback two of the three sentries. In my earlier attempts, I was able to actually feedback both sentries before the FFs went down which make the whole challenge trivial. But as you can tell, even if that doesn’t happen, you can still win easily as long as you morph the archon promptly, smash the FFs, and then let your remaining zealots get at the stalkers. Fungals alone won’t kill the zealots (you’ll actually end up one fungal short if you try). I dump some ITs after the first fungal, enough so that my 2nd infestor has one additional fungal left. This strikes a good enough balance to finish off the zealots easily. A little reprieve from the micro. Simply mineral walk the SCV out of the surround by clicking on a mineral patch, then guide him to the circle. Another straightforward challenge. Simply refresh stim as needed and kite the zealot. In the video, I demonstrate a-move kiting and hold position kiting. Either way works for this challenge although in practice, I tend to hold position kite. Easy peasy challenge. Charge up the void ray on the pylon, then send it into the turret. It’s actually kind of hard to tell what charge level you are at on the pylon because the beam moves around. I listen to the brief stop in the zapping noise of the void ray to know when its moved from one power level to the next. Some more fundamental micro challenges. I shift click three times here: once to move the stalkers to the lip of the raised platform, once to tell them to blink onto the high ground, and then once to tell them to move to the circle. The margin of error is small enough here that you can’t have any zealots share splash damage between banelings. 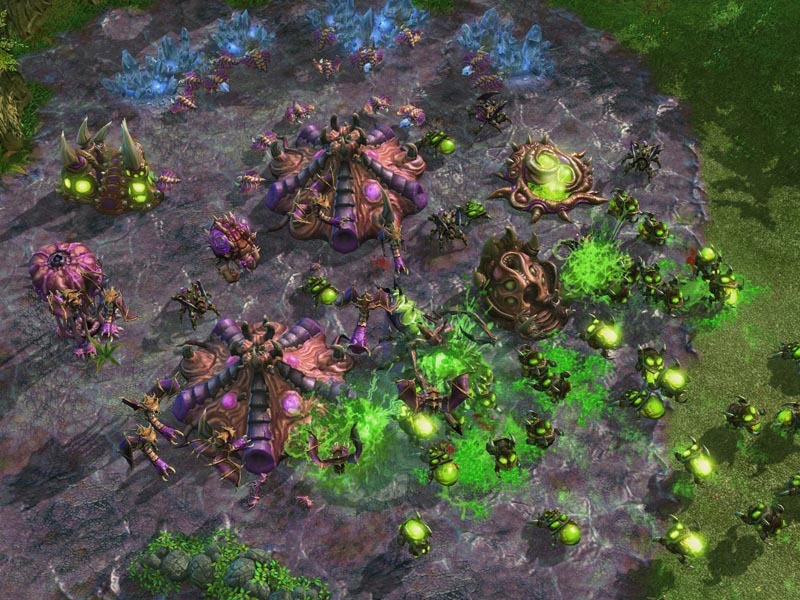 You should use the whole half of the island your zealots start on to spread them out before the banelings get there. Hold position is important so that your zealots don’t chase after the banelings and clump up. I split a few zealots manually towards the banelings. And then I send the rest to the back part of the island where I continue splitting them along the way. I make sure to hit hold position on each zealot that reaches its final destination to ensure that they don’t clump up. As a zerg player, my favorite challenge! This run wasn’t my cleanest, but shows that you can get by if you play scrappy. The AI does two things: (1) send individual lings after your banes and (2) gosu split its lings if you blindly send a bane forward. Because of this, I play defensively, kiting with my lings and banes (which are on separate hotkeys) while boxing small groups off to do work. The key thing here is to kite both lings and banes around if enemy banes are close, otherwise use small packs of lings to kill the assassin enemy lings after your banes. Using the choke by the top right rock formation is a good way to force a good bane hit. Ultimately this challenge isn’t terribly hard as you’ll eventually get a lucky bane hit since the AI isn’t perfect (thankfully). Once you see you have a ling advantage, kite, send individual lings after the rest of the banes, and then a-move once the banes are gone. This challenges requires a surprising bit of dexterity because the banshees chew through your units. I hotkeyed my ghosts and marines separately. When the challenges started, I popped 2 EMPs and immediately stimmed my marines. Note that without stim, you won’t be able to kill the banshees in time. A nice touch is making sure your ghost tanks at the end since he can take more damage than your surviving marine(s). Difficult blink challenge. 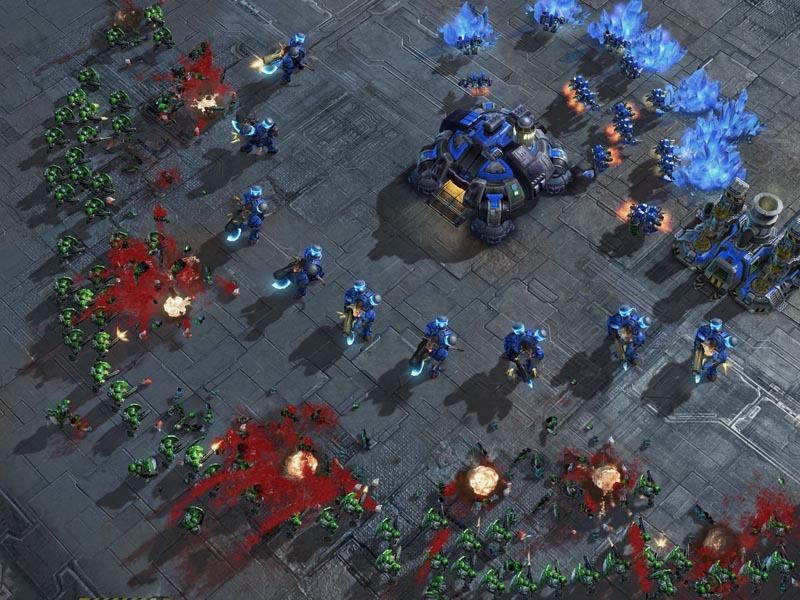 When I micro my blink stalkers, I make sure to blink them in such a way that they (1) are immediately doing damage when they come out of the blink and (2) are not in a position to take damage again for as long as possible. This boils down to blinking your stalkers the minimal distance away from the front line as possible. (4) Once the templar have cast feedback, morph them into an archon and send it to the first viking your stalkers attack. Your goal is to have your archon matched up with just the tanks (or at most, an almost-dead viking). If you get to this point, hug the nearest tank and thwack away for the win. After round 25, this one’s pretty easy. 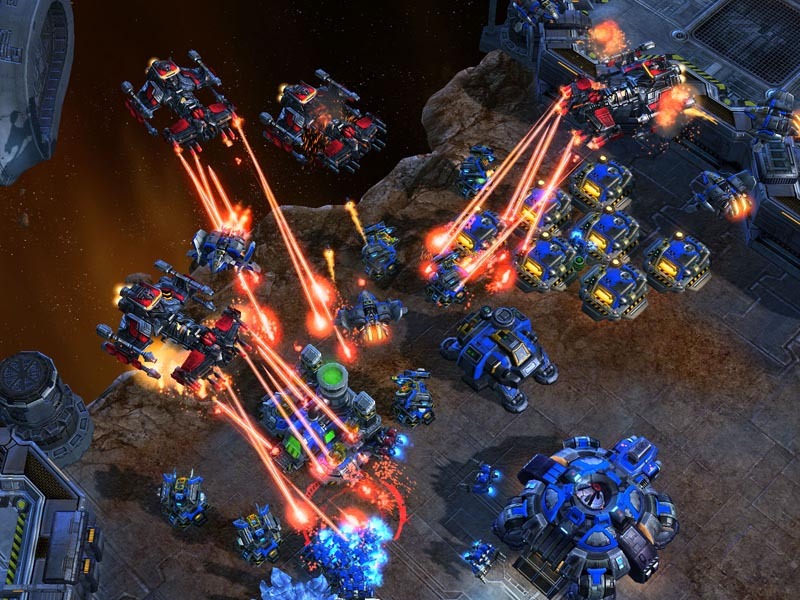 Let your SCVs mine, hotkey your tanks, and attack your own SCVs as you see the DT shimmer slicing them up. Pretty straightforward micro challenge. Personally, my banshee micro is poor so I play pretty cautiously as you can tell from the video. If you’re like me, don’t be afraid to simply kite for a bit to get range, then start feathering in the hold position commands. When you get to the point where your banshee turns around, but then doesn’t fire, let the marines get a little closer the next time and you will have found the sweet spot that you need to hit every time. The critical thing for this challenge is to realize that your ghosts are better tanks than your marines. I hotkey my marines and ghosts separately and at the start, immediately move my marines behind the ghosts. From there, I focus entirely on sniping every baneling possible. I pop stim on the marines after the 2nd wave to clean up. Eventually you run out of snipe juice, so you’ll take a couple of baneling hits. At this point, you can micro further, or you can do what I do and take the hits to the face like a champ. The zealots will hook onto the side marines as long as those marines deal some damage to those zealots first. 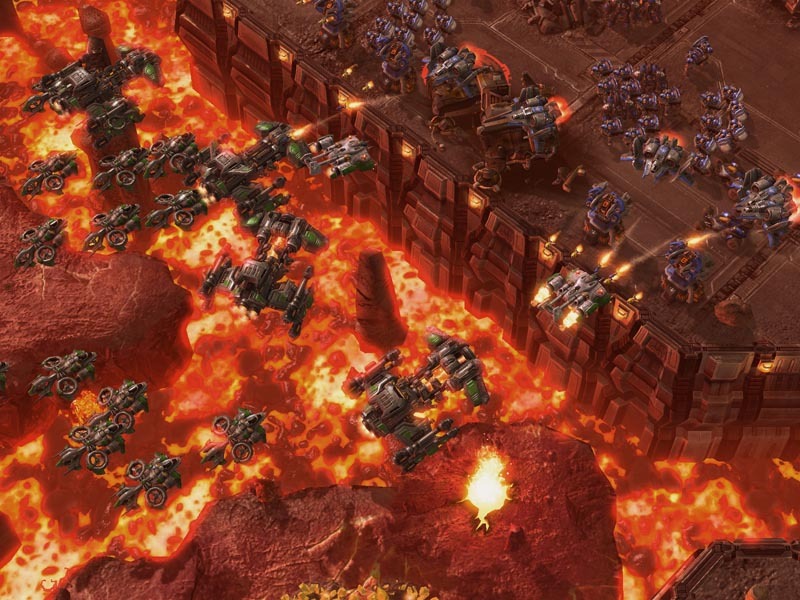 So I simply hotkey each marine to a separate hotkey, send the 1st and 3rd marines to the bottom of the map once they tag the zealots, and then kite and let the 2nd marine kill them. Kind of boring, but it gets the job done. Press D to select the drop ability of the medivac. Left-click the medivac to drop the tank in place. From the video, you can see that you don’t need anywhere near perfect micro to pull this off. You just need to mitigate some damage from the stalkers. The biggest problem for me was lag between when the tank loaded the medivac and when the drop command on the medivac become available. To mitigate this, I ended up double-clicking D when I wanted to drop to make sure the drop command registered. Alternatively, you might want to simply hold down D instead. For anyone who would like to be able to use the Annotations (links in the video) to jump between rounds watch the video on youtube rather than on the website. I fin 27-30 to be impossible…any further tips? 27 is impossible. really i dunno what to do to make it work - i can make soem shots while moving but never clear up all marines. Shoudl i lower the datils to low or what ? ; ooo really impossible. 28 and 30 are crazy..
All content & design © 2010 - 2012 ShokzGuide.com. All Rights Reserved.